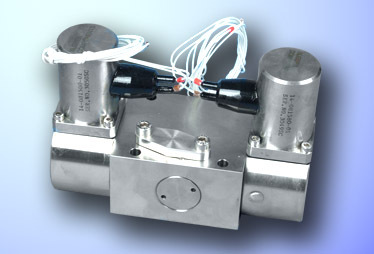 These are three way, two position shear type seal valves, which use two electro-hydraulic Pilot Solenoid Valves to open and close the main valve by electrical pulse. All DCVs feature ‘Sea Water Tolerant’ materials, resistant to corrosion from sea water. These valves are designed to latch open and return to the closed position on loss of hydraulic pressure.